Indiana to Montana Freight shipping and trucking services are in high demand; Indianapolis to Billings is a very heavily traveled route. The Indianapolis, IN to Billings, MT shipping lane is a 1,434 mile trip that takes more than 21 hours of driving to complete. Shipping from Indiana to Montana ranges from a minimum of 1,044 miles and over 16 hours on the road from Hammond, IN to Albion, MT, to over 1,940 miles and a minimum of 30 hours on the road from East Enterprise, IN to Eureka, MT. The shortest route from Indiana to Montana is along the I-94 W; however, there’s also a more southerly route that uses the I-90 W, passing through Sioux Falls, SD instead of Bismarck, ND. Indiana is a state on the mid-eastern side of the United States bordering Lake Michigan. Indiana is a state that operates on the industrial side of the economy, in fact, a large percentage of the states workforce has employment in the manufacturing section, making Indiana the leader for manufacturing employment in the United States. Indiana’s leading exports are heavy in the automotive industry with motor vehicles and auto parts, but also includes industrial and electrical equipment, pharmaceutical products, and medical equipment. Indiana also operates in the agricultural sector being the fifth largest producer of corn in the united states. 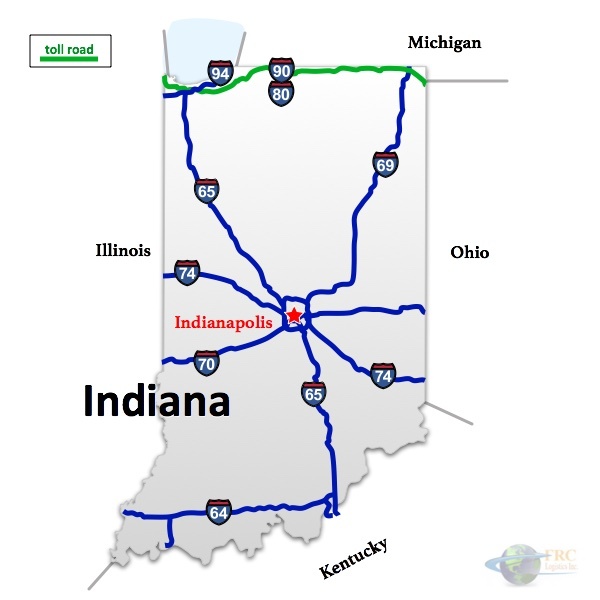 Indiana’s main north-to-south artery is I-65, which runs from the southern end of the state from Kentucky, and continuing north through Indianapolis until it reaches the northern end the state, where it connects to the I-94 and I-90 where it continues into Michigan and Illinois. Also connecting Illinois to Ohio is the I-74 which runs from the eastern end of Indiana to the western end of the state. 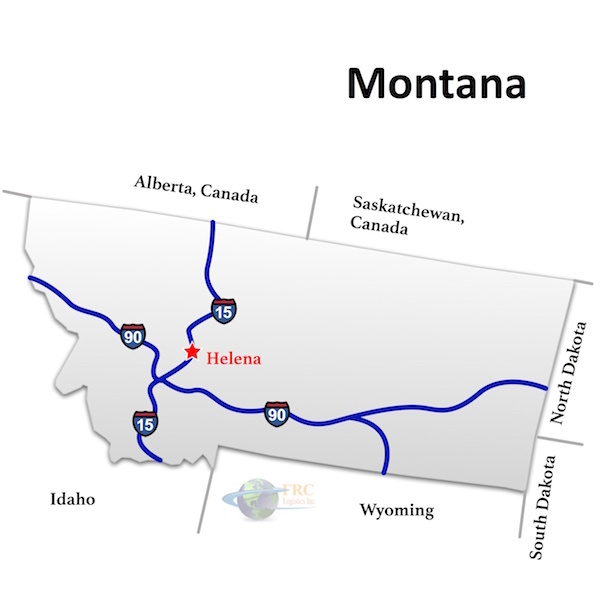 Indiana to Montana Freight shipping quotes and trucking rates vary at times due to the individual states industry needs. Since Indiana is mostly industrial, and Montana is mainly agricultural, with many food processing and distribution centers, we see plenty of shipments by refrigerated trailer. We also see a number of flatbed shipments as well as by the more common dry van trucks. Our Less Than Truckload (LTL) carriers in both Indiana and Montana are also running a number of regular services between the two states, and it’s an active route for heavy haul freight shipments, as well.